If your Windows 10 drivers have been acting up lately, you might be among the unfortunate few who are suffering just because of a single faulty driver. The problem is rare for now, but as more and more people start using the OS, we might see an increase in complaints related to Windows 10 drivers. This is probably the reason Microsoft has published a tool to help users isolate such drivers, ensuring that the entire OS doesn’t stop functioning in case of a problem. Windows 10 drivers are kept updated at all times by the OS. This has a minor side-effect, though. 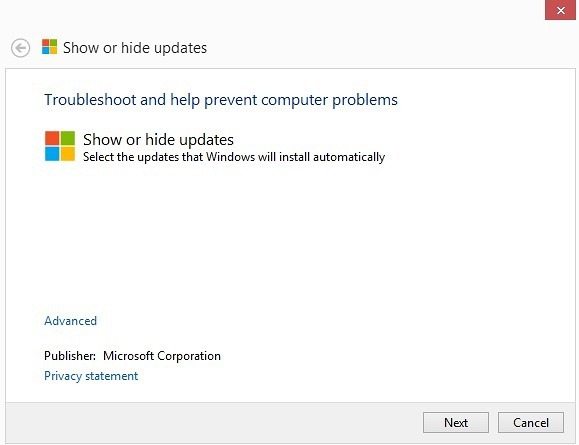 If a faulty driver is disabled by you manually, Windows 10 will keep re-enabling it to check for updates. If any user wishes to disable this process and keep a driver permanently hidden, here is what needs to be done. Download the Microsoft WUShowHide Tool. Run the file downloaded in the previous step. You will need admin rights to execute it. Click the ‘Next’ button on the tool’s main screen. It will begin scanning your machine for all installed Windows 10 drivers. From the displayed list, simply choose the drivers for whom you don’t want automatic updates to take place. Click ‘Next’ when done.